Here is a Guidon we had fun making. A special project for Doctrine Man!! 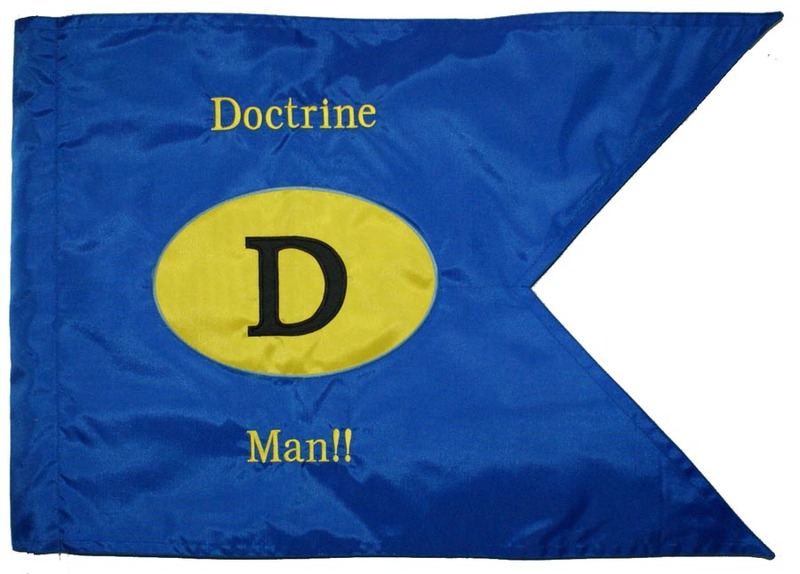 Leading the charge in the Military blogosphere is Doctrine Man. Using his Characters to give us an insight into the brains of military leadership, Doctrine Man and my personal favorite Blue Falcon will never disappoint. You can follow the adventure of Blue Falcon, The Irish Priest among other great characters. This entry was posted on March 18, 2013 by guidons in Air Force, fire department guidon, JROTC, marine, Police guidon, ROTC Guidon, US ARMy and tagged army guidon, custom guidon, doctrine man, guidon, guidons.